When I said I prefer a more regular service, I was being ever so slightly rhetorical. It is true, on the one hand: When push comes to shove, I prefer a more traditional practice to anything that is too drippingly “spiritual.” I think I alluded to my opinion that much of the more self-congratulatory spirituality which is going on out there (often in the name of “change” or even renewal) attempts to supply the spirituality for those on whose account they are crossing before the ark. There is something to what Max Kaddushin characterized as the “normal mysticism” of the Rabbis (the ancient sages), i.e., allowing things sometimes just to be ordinary. This means trusting that people have their own spirituality and they can supply it when they need to; it does not have to be handed to them via a silver platter of a service (or practice) which makes no room for just feeling in a regular state of mind on this particular day, or for these particular 20 minutes of a long, three hour morning. A “spirituality service” also implies that the old-fashioned service, even the choir in the pipes ones with which I grew up, somehow are not spiritual, which they are — or were in their time (see Larry Hoffman’s The Art of Public Prayer). There can be a certain arrogance on the part of those of us who present as resuscitating a supposedly moribund tradition. I am trying very hard to avoid this, which is no easy task, especially when one is excited about bringing something purportedly “new” to birth. To that end, I actually try to avoid the word “spiritual” altogether, as it can insult. I prefer the word “complimentary” (the analogy being from medicine). More on that another time…. But with all of this, as you make clear, it is important to tread carefully. I have received one or two emails accusing me of trying to “change Judaism.” At first I absolutely denied this. But, in truth, maybe we are trying to change the religio, but in an evolutionary fashion and not as revolution (see Dostoyevski’s The Possessed). Also, as I mentioned, there are those who think that Jewish Kirtan people are trying to make Jews into Hindus, which is ridiculous. It is my desire that what we do be genuinely Jewish, or at least contiguous with an evolving faith’s path. 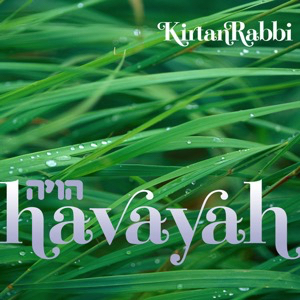 So, it is actually crucial that Hebrew Kirtan (and other chant forms) be deeply liturgical—not just merely shlepping some Indian-style melodies on some Hebrew words. The other thing I’m working really hard on is, as I said at the session, to gain access to the mainstream Jewish world with this complimentary practice. There is often an initial hurdle. Sometimes a huge hurdle. But I find if I can reach the rabbi of a synagogue and talk to him or her, I always get an engagement with them. Cantors can be particularly tough; but I have yet not to win one over. Interestingly enough—for reasons I am getting a sense of intuitively—I am having the most success with Conservative communities (not politically conservative). So, I’m working very hard at getting into all aspects of the Jewish world: synagogues, seminaries, shteiblach, Hillels, JCCs, you name it…. I also increasingly love presenting in the yogic world, something which has been growing and growing for me. At such a moment, it is really important not to say, “Oh, great. So, now come to shul. Or, can you do another mitzvah?” (It’s even more important genuinely not to want to say this!) It’s crucial just to let the practice be the practice. I believe this strongly: There should be no “-ism” in Kirtan meditation. 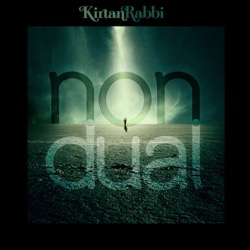 Just chant in vibrational Hebrew; teach Torah as kavvanot; chant some more; and end the kirtan. Period. If our tradition is so wonderful (which it is), if we see God as loving (which s/he is), if our teachings grant so much insight (which they do), then all we have to do is “not do” by presenting it as such and let, mature responsible, spiritually adept adults in the 21st century draw their own conclusions. I think there is a great place for extra-statutory services in the Kirtan and other forms. Increasingly, the plain of Jewish prayer is going to have to go out to these fields—even as we plow into the traditional infrastructure—if we are going to cease circling the wagons, affirm love of God and proclaim the over-riding mitzvah of Gratefulness to the world. I’m going to keep this post short, because it’s my birthday, and I don’t feel like working too much â€” or staring at a computer screen. This morning, as promised on facebook, I woke up and played the second “side” of the White Album, because it opens with the song … Birthday! Take a chan-, chan-, chan- chance! I always sing some crusty version of the song into my friends’ voicemails on their birthday, so why not the real thing on mine? I have been having a bit of Beatles resurgence of late. This is thanks to my friend Cameron Afzal, who is a professor of religion at Sarah Lawrence College. Last I visited him and his family, he turned me on to the recently recently re-mastered and re-released original mono versions of the Beatles’ earlier CDs. I highly recommend checking these recordings out, because, though subtly so, they are different than the stereo recordings with which we all grew up. Apparently, when the Beatles were first recording, there was no stereo yet in Great Britain, so they mixed in mono. Then, because the US was switching over to stereo, these recordings had to be converted almost immediately to stereo. But here’s the catch: The mono recordings represent the sessions where the Beatles themselves were in the studio providing their artistic input. The stereo mixes were then turned over to the “pros,” who had to remix them. In the course of doing so, they made some changes. For example, there are instances where, say, John wanted a truck to drive right through the recording loud and clear. The professional engineers, hearing this (and needing to mix and pan the sounds), must have thought:Â “Why is that truck so loud there? Let’s move it back.” So, the truck is still in the recording, but it no longer reflects the intentions of John and the others who did the original mono mix. My point here is that the professional engineers who converted the Beatles mono recording to stereo also didn’t trust. They couldn’t believe that John wanted a truck sound so prominent and upfront. They couldn’t believe that there should be this scratching sound or that siren so dominant. So they moved all of that back. Check out the mono recordings. They are a new experience. Precisely what the Beatles did â€” and still â€” do. My thought for the day, then? Kirtan which is not as uplifting as the Beatles’ music is not good kirtan. They say it’s your birthday? Gonna have a good time!